The very famous, very entertaining band at North Carolina Central University is raising $500,000...to fund its coveted invitation to the 2011 Tournament of Roses Parade. It's expensive to move the massive Sound Machine from Durham NC to Pasadena CA. 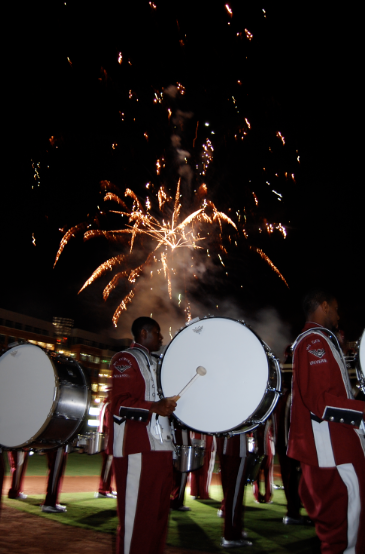 We welcomed the band to the DBAP Saturday night. 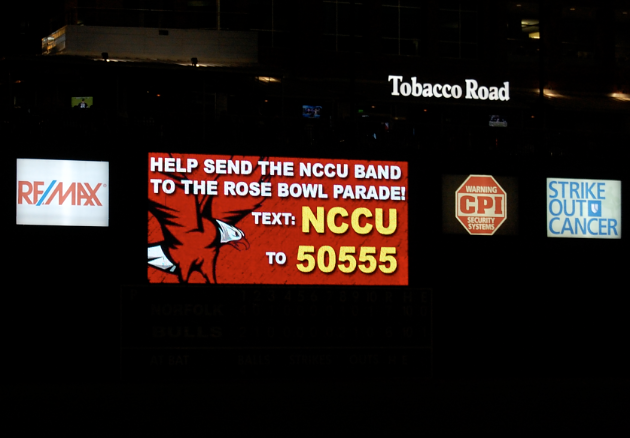 They provided accompaniment for our fireworks show, and fans were invited to text a donation to help pay for the band's cross country trek. Percussion on the field. Pyrotechnics overhead. It's not to late to help! Text (above) - $10 charged to your cell phone bill, or click here. 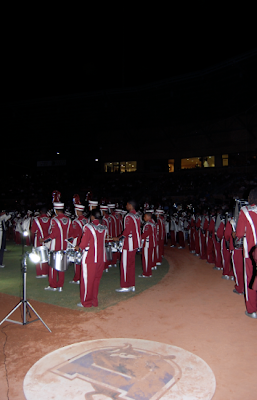 The Marching Sound Machine drumline intersects home plate.